The future is very bright for City Island. I’ve lived here for over two years now and with the landscaping well underway and looking fantastic, with English National Ballet, London Film School, playing pitches, transport links, amongst many other creative and essential services on the way and not forgetting the shared facilities coming at the Goodluck Hope development, I truly believe this will be one of East London’s best places to live by 2020/21. Brexit or no Brexit! Employed by an agency that acts on behalf of Ballymore, London City Island developer. We’re off to see the Wizard, the wonderful Wizard of E14. And we’re getting there by skipping along the road from Canning Town tube station over the Red Metal Bridge and onto munchkin-sized London City Island, with its dinky coloured buildings and its magical heated outdoor pool. No-one would suggest that there’s anything magical about Canning Town, unfortunately. Even in relatively modern times it squatted crossly on a list of the 5% most deprived areas in the UK. So credit must be given to those who have the grit, guts and cast iron cajones to take on a large, ostensibly unappealing area and launch a £3.7bn regeneration programme. On the other hand, why not? The once utterly desolate Canary Wharf is a success. Although that took three decades and a campaign to convince new arrivals that London stops at St Paul’s so not to bother going anywhere else. London City Island isn’t finished yet but what’s there now feels bedded in. 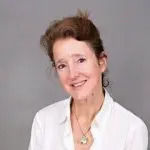 The English National Ballet and the London Film School have signed up for state-of-the-art new spaces which is an impressive coup, and we are willing to bet that favourable terms helped those moves along for mutually beneficial reasons. Their combined star power might have made London City Island go all giggly and weak at the knees, but it’s also given the Island status in the secret plan to make E14 cool and attractive to new wealth when it’s still pretty rundown and poor. So the message that East Is Best and West is where the rich old people live continues to be relentlessly hammered home, and that’s probably a relief for West London, which is enjoying its fair share of redevelopment. New housing of all shapes, all sizes for all sectors of the population is going up all over the East, but London City Island has its eyes firmly on the Gainfully Employed Young Professionals sector. The package on offer is a 30+ urbanite’s dream even if the Gainfully Employed Young Professionals who feature in the promotional video all look freezing cold. The magical heated outdoor pool is a bit of a surprise but perhaps Ballymore know more about how fast the earth is warming than the rest of us. The (indoor) spa pool and large gym at ground level have floor-to-ceiling windows so users had better be fit before they go in but exercising with a view and natural light is a very pleasant experience indeed. Gainfully Employed Professionals love a cool deli/café/bar combo and that’s been thoughtfully provided. But, oh no! We’ve run out of cat food, aspirins and razors! No problem, we’ll just dash down to… where? Well, although there are convenience stores ‘dotted around’, they’re just not dotted around London City Island. There’s a large Nisa at East India Station that’s a ten minute walk along an unprepossessing route. A supermarket will, we’re told, turn up at some point but in the meantime the residents will have to learn to Be Prepared (copyright Baden-Powell, not Bear Grylls). As to the flats, effort has been put into giving them a Friends-style ‘urban warehouse aesthetic’ to quote the glossy marketing material. 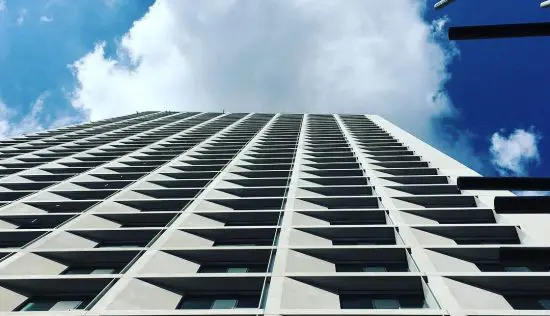 That’s largely been achieved with metro tiling and the crittall window frames once considered a symbol of cheap housing and now all over Instagram. Flats have decent-sized balconies and the views will help residents pinpoint the small parcels of greenery to be found in East London. On that score the East cannot compete with West. The build quality of the flats is good though, the floors feel solid and ceiling heights are reasonable. If Central London isn’t to be completely over-run with thousands upon thousands of Gainfully Employed Young Professionals with money to burn, the developers have to provide them with reasons to stay in their swish new developments. London City Island is appealing because the whole living on an island idea is fun, and it’s small enough to have a community feel. Two contrived outdoor spaces (Trinity Square and Botanic Square) are provided and the Bow Creek Ecology Park just across the River Lea might take 10 minutes to stroll around since most of the land is taken up with the DLR. Amongst other Soho-style show-off amenities beloved by Young Professionals there’s a handsome, helpful concierge, an arts club, outdoor film screen, rooftop sports pitch, boutiques and yet more cafes. Transport might be even more of a big sell than the all fancy cafe/deli/bar combos, games rooms and outdoor film screens. Public transport here is new, convenient and it does work very efficiently. The only missing element is ferries given the river is right there, but roads and airports also abound. Anyone heading to or from Essex, Suffolk or Norfolk will be uncomfortably familiar with the A13 which roars past immediately north of City Island. To the south is Lower Lea Crossing, west is the Docklands Light Railway and London City Airport is just over two miles to the east. The airport is about to undergo its own development programme, and there’s plenty of online information worth reading about that! 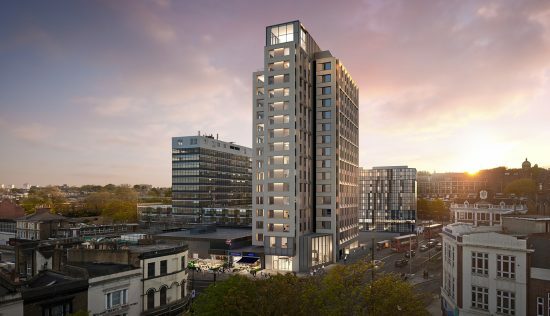 As USPs go, being an island is hard to beat but Ballymore also pride themselves on being a placemaker – the word of the moment in London developments. Speed-building a welcoming, active, successful community is not to be sniffed at and a lot of faith, hope and cash has flooded in to set up the cool Friends vibe here. It seems to be working but residents can help to keep it that way by making sure their parents bring a stock of essentials on visits and then asking them to leave before the bar opens. I do not have any commercial or other relationship with the developer or their agent. I have lived here 2 years and it’s amd incredible development. There is a sense of community on the island. Neighbours talk to each other and people chat to strangers in the lift. This may all seem very normal but a anyone who has lived in large developments in London will know it is not. My apartment was delivered to the highest standard and the Ballymore team were amazing. The whole place is great and my wife and I love it. Ballymore have delivered something special to this part of London. The island is great and is only getting better as more of it is finished. 5 minutes from Canary Wharf with all the shops and restaurants you could want. The overall impression of London City Island is that it is beautiful. The aesthetics are modern and stylish, the design of the flats themselves and the amenities such as a gym, pool, and grocer (and more!) are stunning. Build quality is great. We’ve been here two months and everything has been robust and sturdy, we’ve had no issues whatsoever. We’re also able to maintain a great standard of living, as everyone in my flat is very active having the gym onsite is perfect. Value for money is great – rent isn’t cheap but you get a lot in return for what you pay. Also considering how close it is to the airport, we have absolutely no noise complaints. Only loses a star for a slightly stressful move-in period and the price of rent (even with value for money, it’s still a little steep). We like the amenetites onsite and offsite. We have the gym, spa (pool, jacuzzi, steam room, sauna), grocer, bar and restaurant, and more. We’re also right next to Canning Town station, a co-op and a McDonalds. Downsides are that the area doesn’t really have much nightlife or social stuff, so you have to go on the tube or DLR to find fun things to do on weekends. I wish I’d known that you need a gym induction before you can start using the gym, even if you’re experienced, and that this might take a few days to set up. Great development in an upcoming area! Ballymore have done well to have the National ballet and Film School re-locate here, it will only add value and make the area more buzzy. 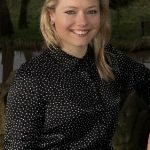 My flat rented out extremely quickly and easily – overall I’m very pleased with my investment here! 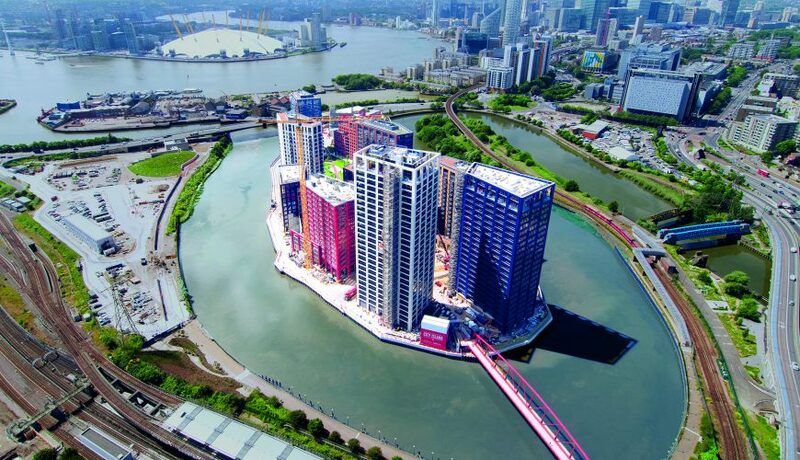 Still not a huge amount going on in Canning Town but once London City Island is fully complete, as well as Good Luck Hope, it will get more and more popular! London City Island is a thriving new community created by Ballymore and EcoWorld and resembles a ‘mini Manhattan’, centred on a large public square and anchored by the new English National Ballet headquarters, which looks set to be a stunning building. 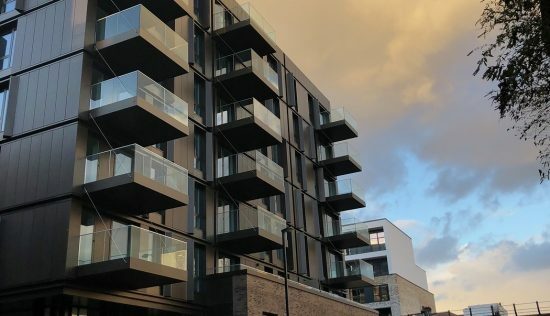 Working as a development consultant in London City Island has always been one of my favourite developments in the capital, and my partner and I therefore bought a 2 bedroom apartment there off-plan. The communal areas are now completed and look fantastic: a retro-inspired gym, outdoor pool surrounded by planting, a grocer and Italian deli, bar and pizzeria and even more facilities still to come in later phases. A fantastic effort has been made with the landscaping, placemaking and creating a sense of community, with regular events being hosted by the developer and a series of artisans moving in. 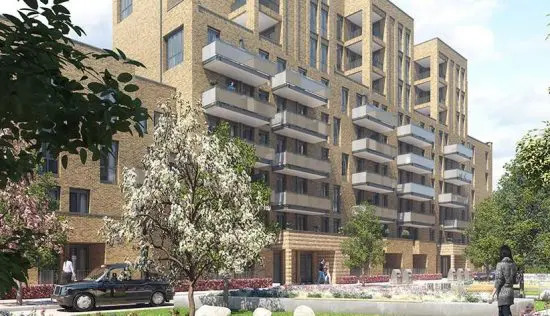 The scheme is easily accessible from the Canning Town tube station (Jubilee Line) and gives the perfect combination of big city life with its amazing connectivity, and simultaneously that of a small-town community, with the classic high-street occupants like a florist, art gallery and grocer. We can’t wait to see it complete! London City Island will be worth the wait! 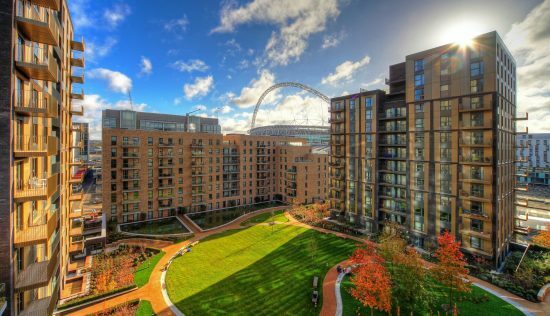 We have bought a flat in phase 3 of the London City Island development. We are not professional property investors but chose to invest in a flat here because we believe this development offers more unique features than neighbouring developments and we are excited about the long-term potential of owning here. We fell for London City Island because of the mini city environment the developers are creating with shops, restaurants, boutiques and it being home to the English National Ballet. The location and transport links are fantastic taking residents into or out of the city. Whilst our flat is not due to be complete until 2019 it is fantastic to have recently visited and seen the completion of the first phase and the work being doing on our building. We initially invested in 2015 but are still really excited about owning a flat here. We have bought in phase 3 but the completion of this phase has been delayed by 2 years since the date we were told when we purchased (from 2017 until 2019). The lack of communication from the developers has been frustrating and this length of delay is not something we had appreciated could happen when we bought. I have bought two flats here, one completed and rented out. My flat rented out easily and I have had great feedback from the tenant and they are keen to stay longer. There have been some delays but I think this is a very special and unique development and am delighted to have two properties within my portfolio. I love it here. It is February snowing and my friends and I swam in the outdoor pool – how amazing is that!! We chose to live here because of the location but also the facilities – it is the first time I have lived in a development and I love the fact that I have a pool and a gym that I can use everyday. I do wish more of the island was complete and can see it is going to take a few years before everything is ready but we couldn’t be happier and would live in a new building now over something old and dated anytime.